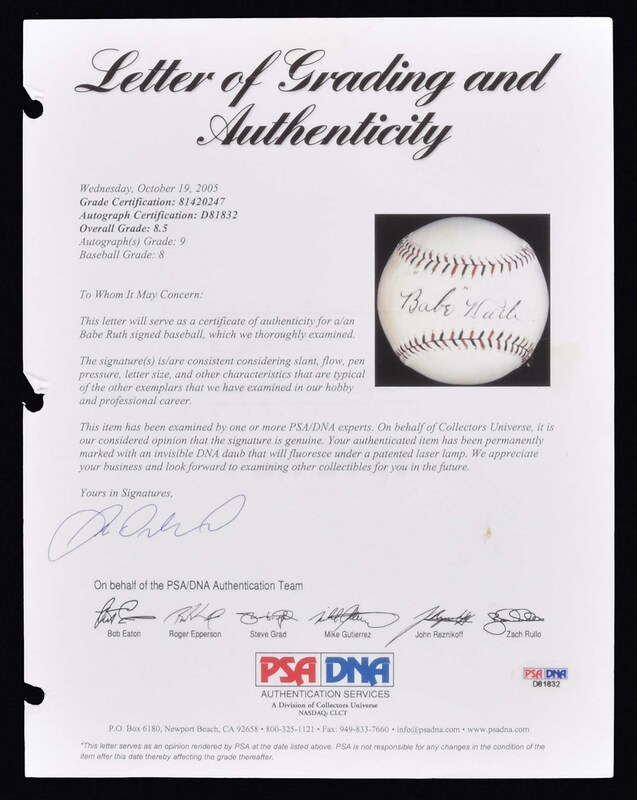 Lot # 7: Exceptional Circa 1920 Babe Ruth Single-Signed Baseball PSA/DNA NM/MT+ 8.5 with MINT 9 Signature! 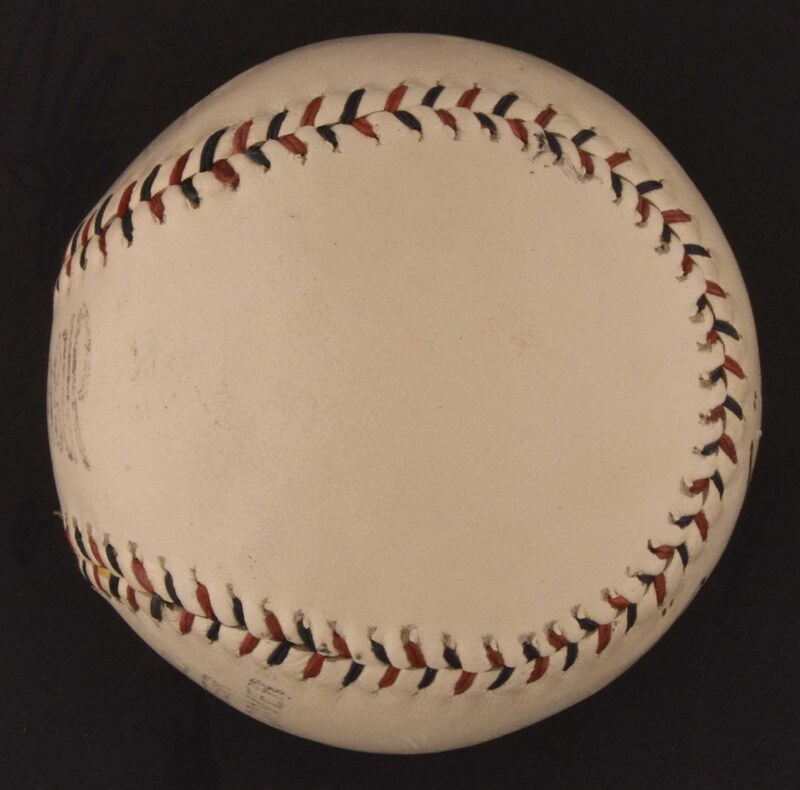 Extraordinary high-grade Babe Ruth single-signed baseball. Graded NM/MT+ 8.5 by PSA/DNA. The Ruth signature grades a near-perfect MINT 9, while the ball grades an equally impressive NM/MT 8. 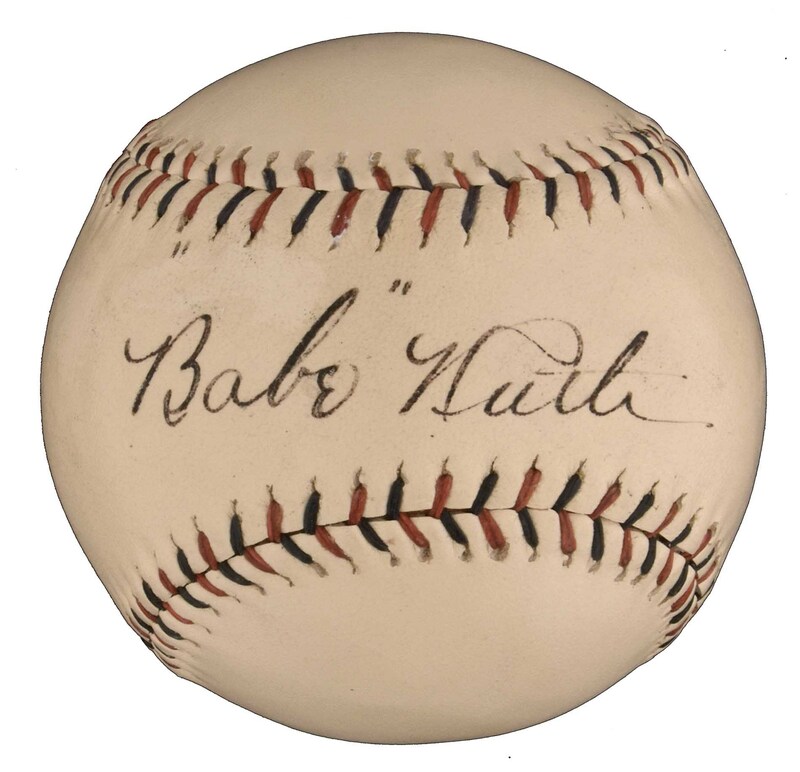 This is the highest-graded Babe Ruth single-signed ball we have ever offered and we can only recall having seen one other example meriting this lofty grade from PSA/DNA. Ruth has beautifully scripted his name in black fountain pen across the sweet spot. The Thos. 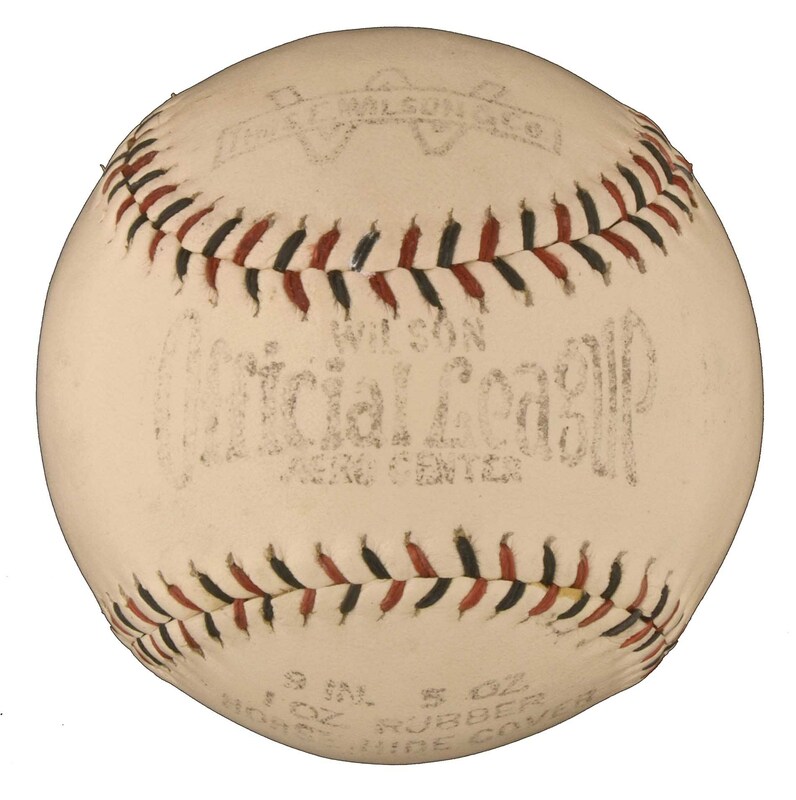 E. Wilson & Co. "Official League" ball displays light, but clearly legible stampings, and otherwise looks much as it did when originally purchased nearly 100 years ago. 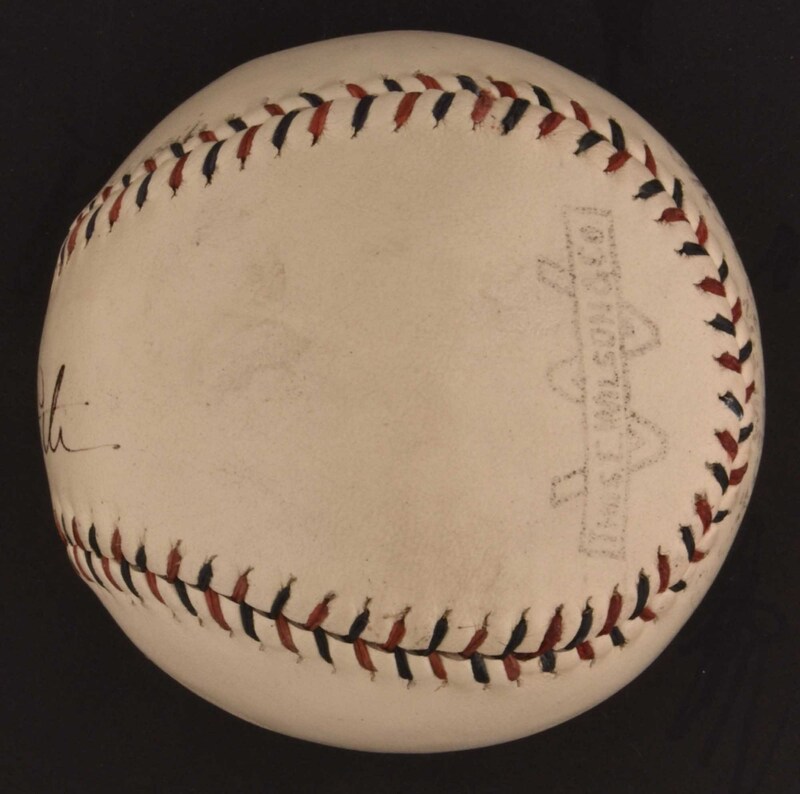 In addition to its exemplary signature and condition, this ball is also an early Ruth single-signed ball. The Wilson Sporting Goods Company was incorporated in 1913 under the name Ashland Manufacturing Company, but in 1916 newly appointed president Thomas E. Wilson named the company after himself. In 1925, the company merged with the Western Sporting Goods Manufacturing Co. and changed its name to Wilson-Western Sporting Goods before finally becoming Wilson Sporting Goods in 1931. 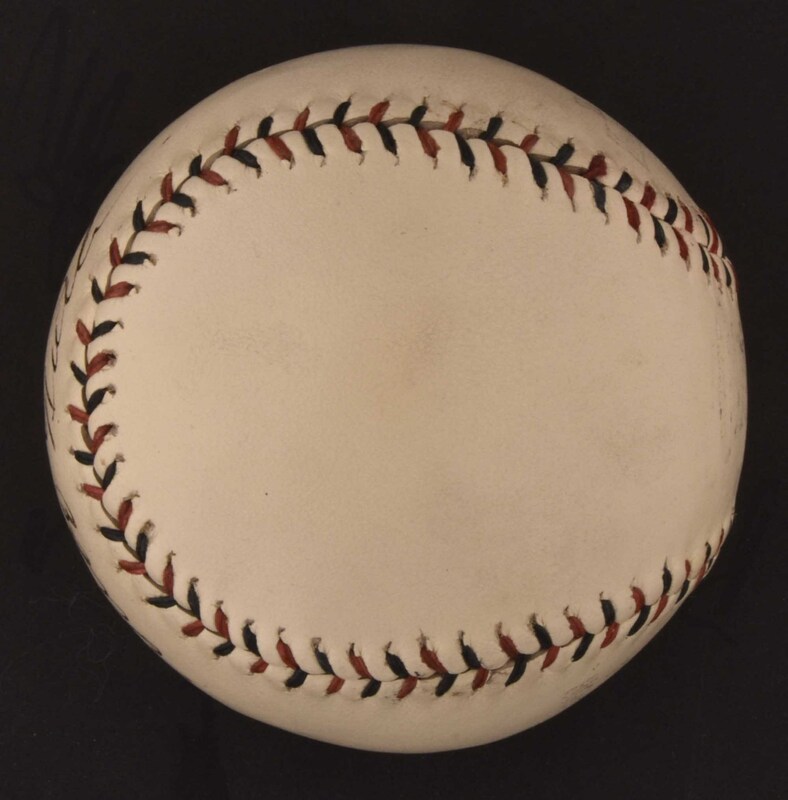 Given that company timeline, this ball dates to the ten-year span 1916-1925, which would encompass Ruth's last four years with the Boston Red Sox and his first six years with the New York Yankees. The fact that Ruth bracketed the "Babe" portion of is signature with quotation marks also dates it to his early playing career (Ruth ended that practice sometime in the late 1920s). Despite the fact that Ruth was the most prolific signer in baseball history, high-grade singles remain the exception rather than the rule. 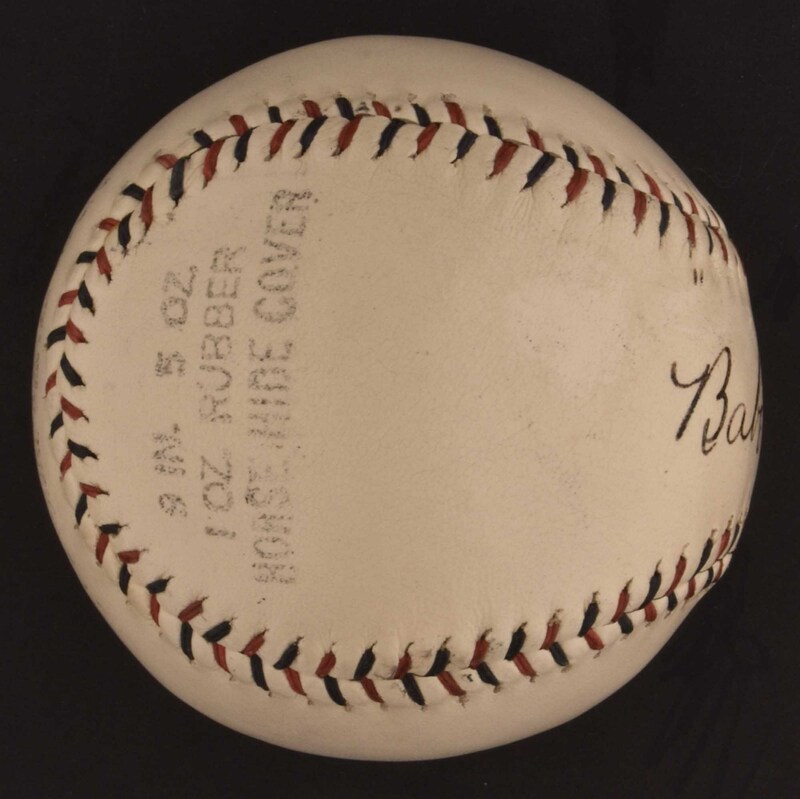 There are very few Babe Ruth single-signed balls in the the hobby that can compare with this spectacular example and we cannot recall having seen a finer example. Full LOA from PSA/DNA. Opening Bid $25,000. Estimate (open).